[Jesus] recognized His need for solitude, to be with His Father, to rest. What would happen if this practice became a priority rather than something we lessen to “luxurious” or for those who are weak. What if solitude, rest and self-care went from something that we physically needed, to something our spirits actually wanted? If the creator of the universe took one day to “rest” then is it really that impressive to slave away for seven? Why do we feel the need to work harder than Jesus? His life was not only full of meaningful work, creative design, miracles, travel and compelling messages but teeming with friends that He broke bread with. He made time for strangers, and to party at weddings, so, perhaps we can give ourselves the freedom to do the same. Jesus didn’t try to heal, feed or befriend the whole world during His three-year ministry career, so why do we yoke ourselves to a dream of accomplishing all of our life goals by our 30th birthday? 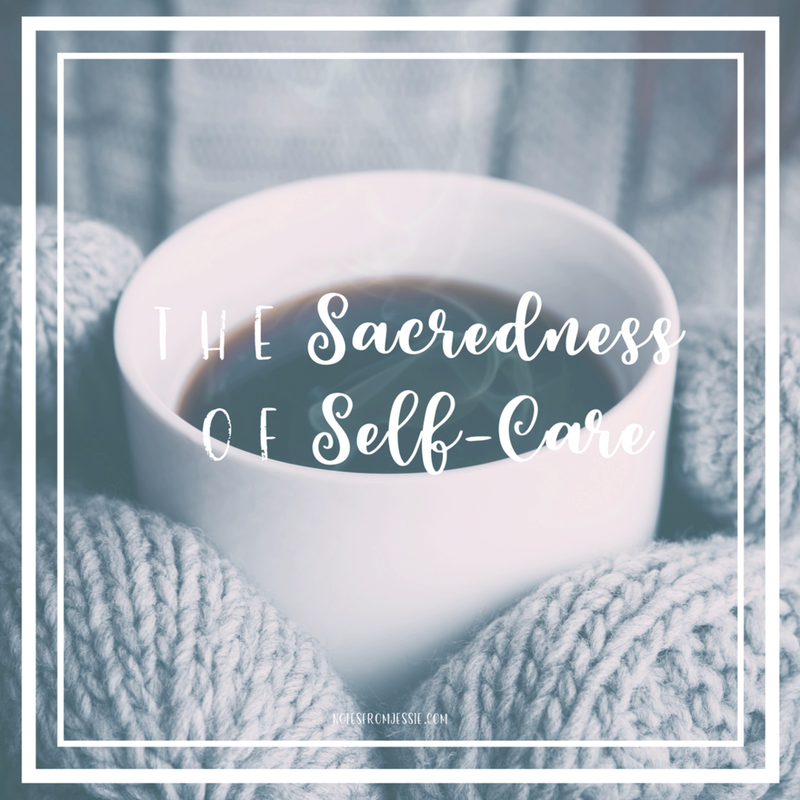 Why do we relegate self-care to our list of "luxuries"? Why do we treat it like it doesn't matter and let it be the first thing to go when things get crazy? Life is crazy. Life is probably always going to be crazy. There are seasons in which it seems to be more hectic than others, but from what I've seen, it pretty much fluctuates from "normal crazy" to "ridiculously crazy.". In the midst of the holiday season we're currently in, our to-do lists take on a mind of their own, controlling our schedules, our pace, and our priorities. But the things we have to accomplish aren't always the most important things. We need to quit putting off self-care until "we have more time." We need to make the time. When we're not taking proper care of ourselves, we can't properly take care of others. We need to be filled up before we can be poured out. This holiday season, I encourage you to take care of yourself by setting aside time to refuel-- whatever that may look like for you. For me, it looks like eating some dark chocolate while watching a Christmas movie, curled up on the couch with a fluffy blanket. Or taking an hour to read part of a good book, or inviting a friend over to make dinner and dessert. But it can also look like carving out time for a run, going to see my family, getting to bed early, or making Christmas crafts with friends. Self-care can take on many different forms, but it doesn't matter much what it looks like. It just matters that we take time and intentionally care for ourselves so we can be our best for the people in our lives. If you've ever snapped, rushed, hushed, or mumbled your way through a family gathering around the holidays because you were tired and stressed, you know what I mean. This Christmas, let's take better care of ourselves in the name of our sanity and our relationships with our people, okay? Okay. Good. Glad we agree. Now I'm going to go read a book!